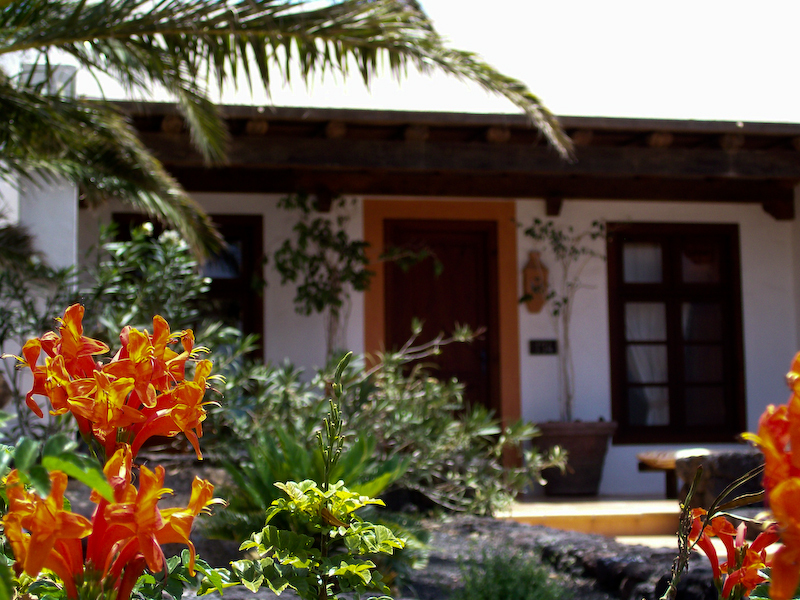 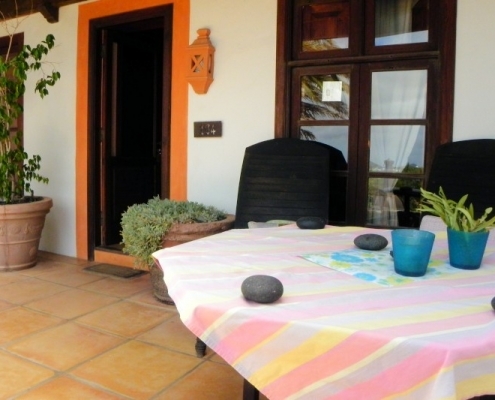 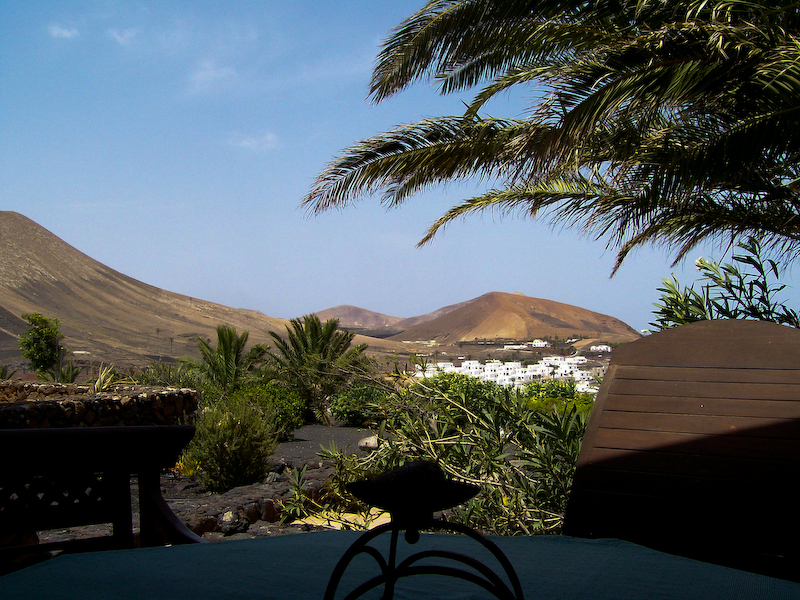 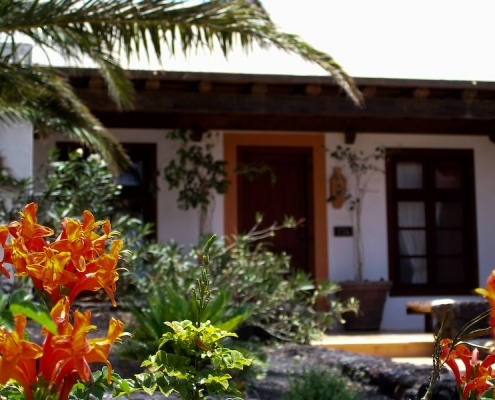 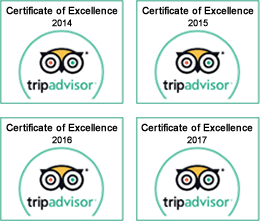 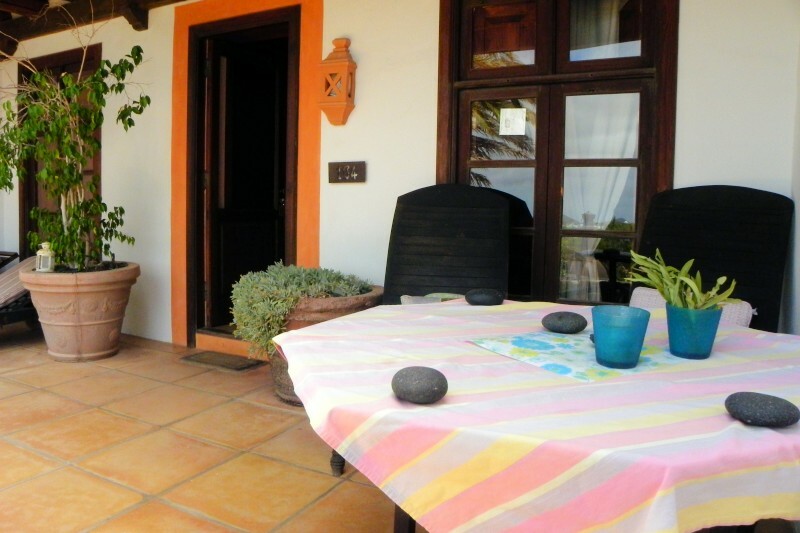 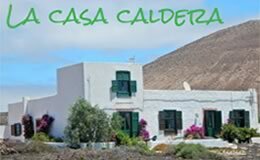 This suite has views towards the picturesque village of Uga, along with its palm trees and the lunar landscape of the Timanfaya National Park. 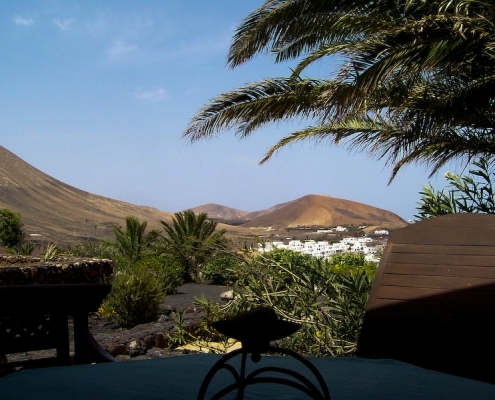 These views can be enjoyed from the large terrace. 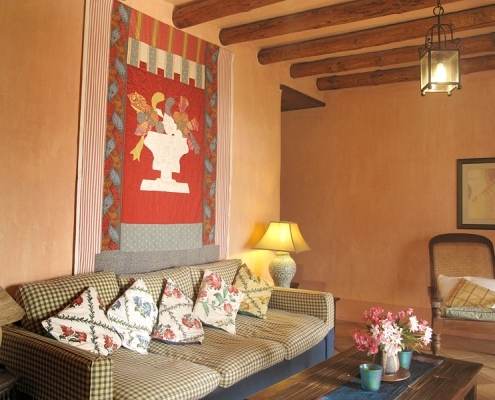 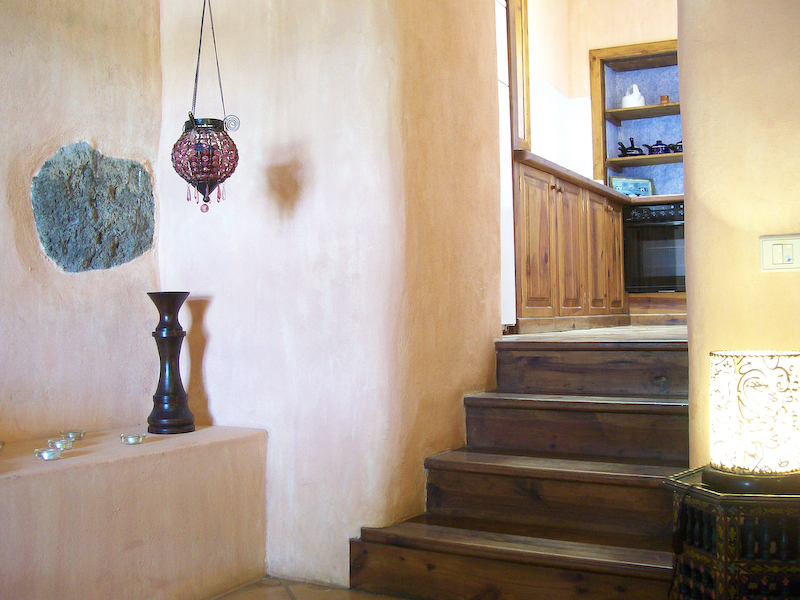 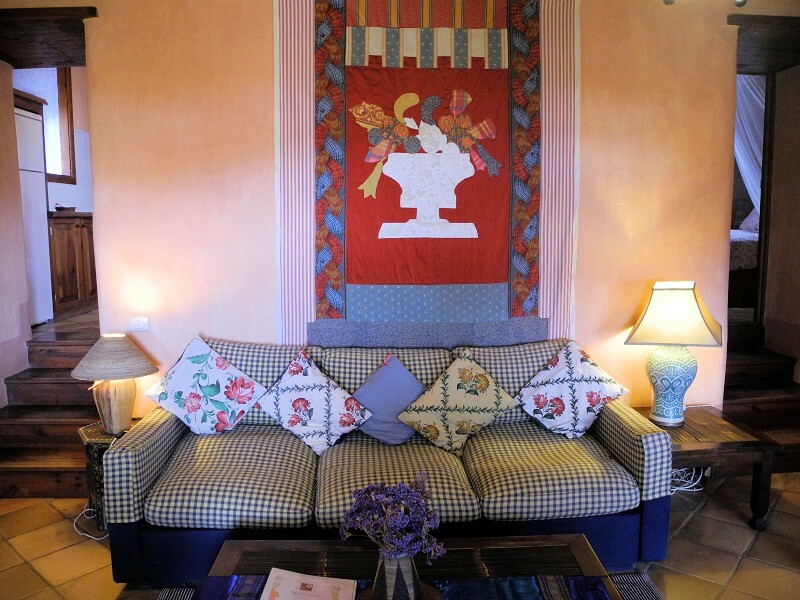 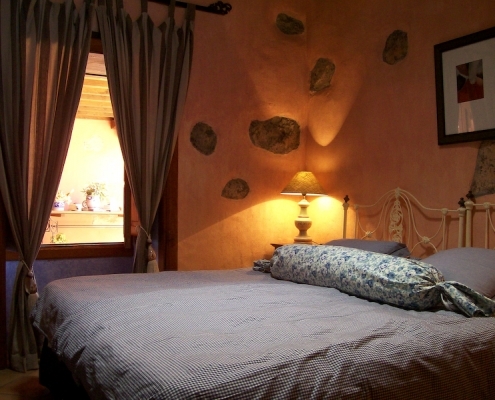 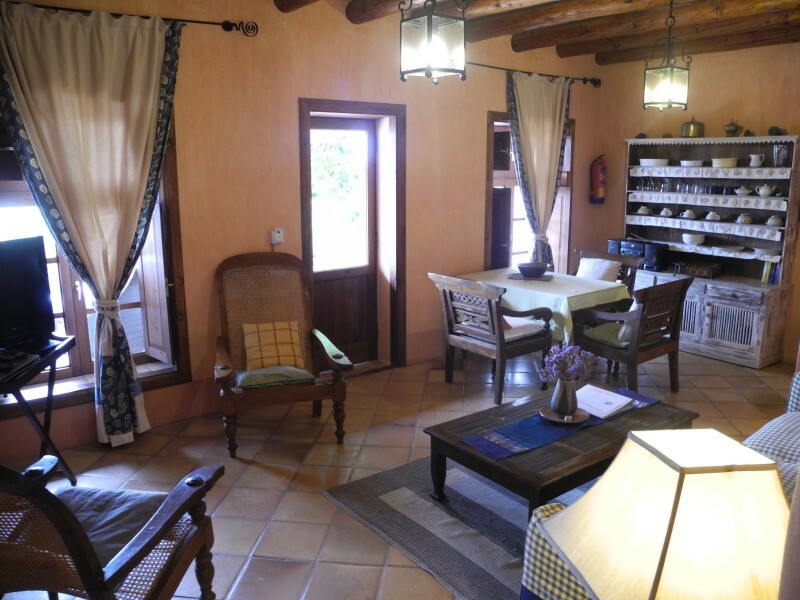 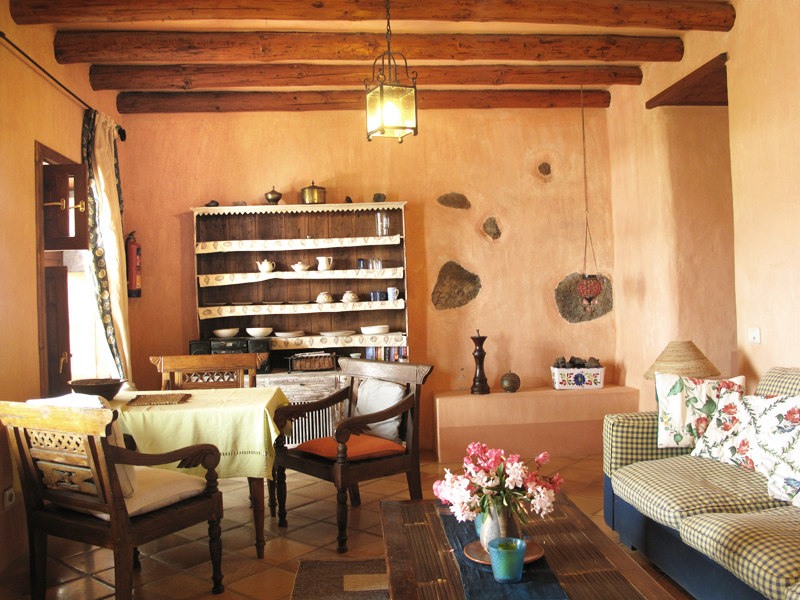 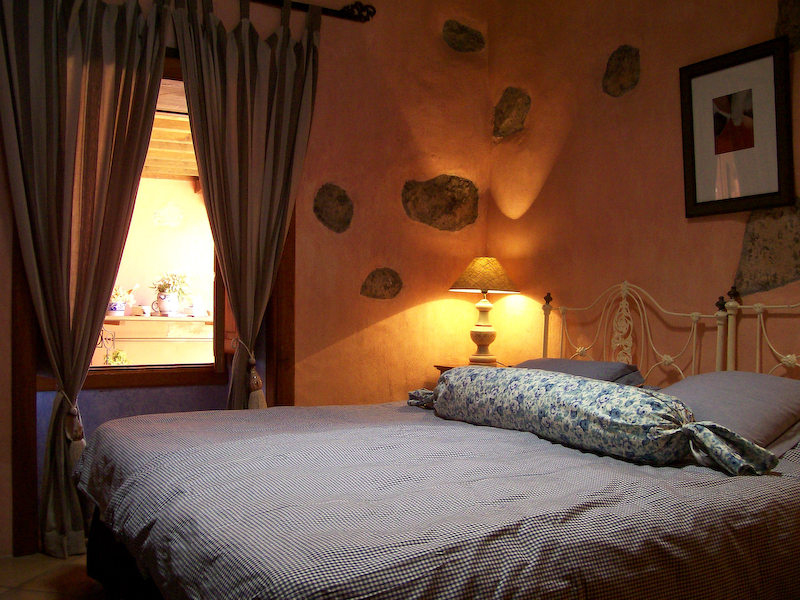 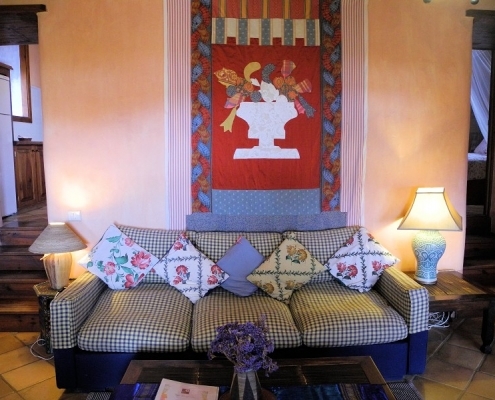 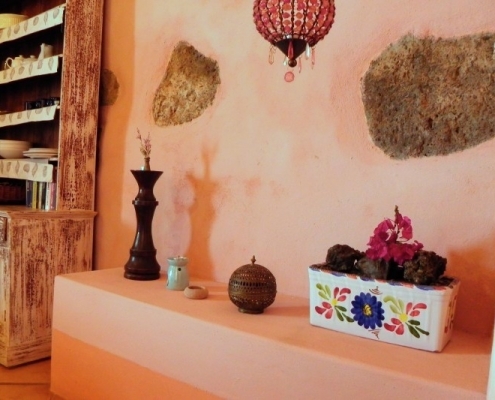 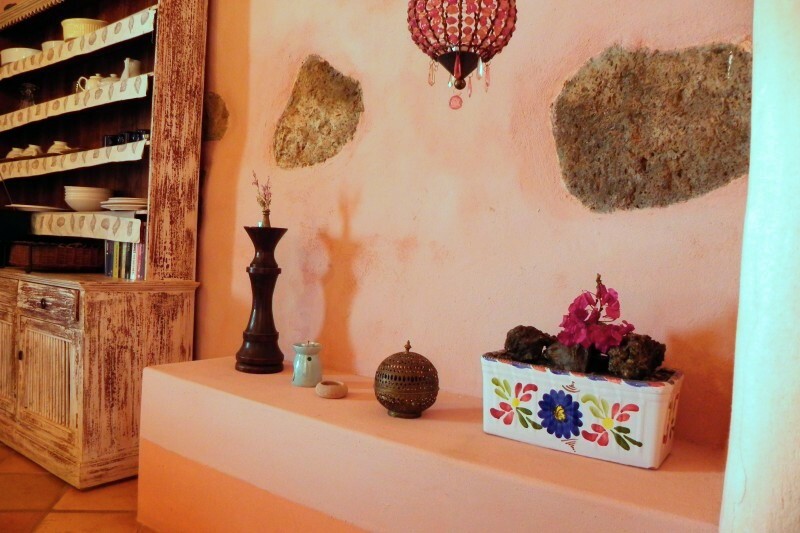 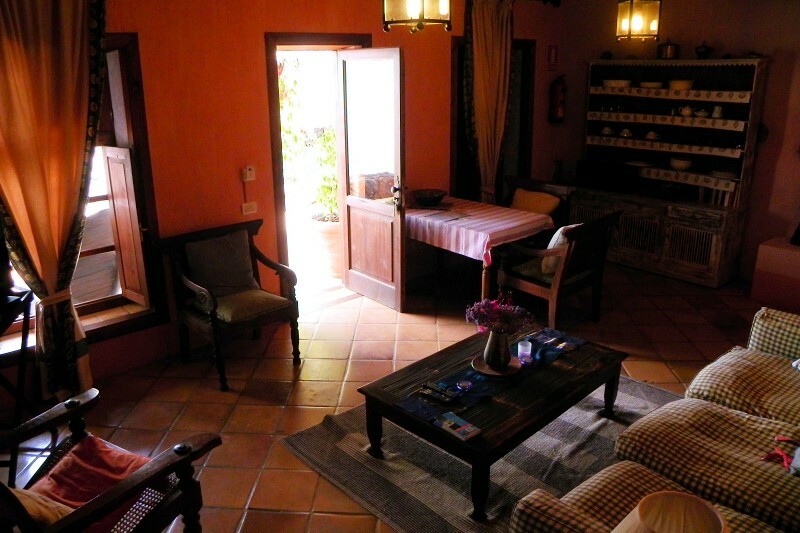 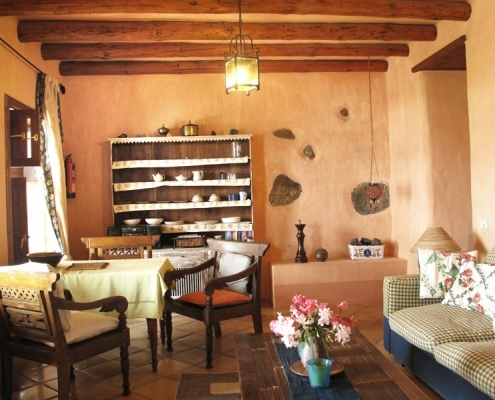 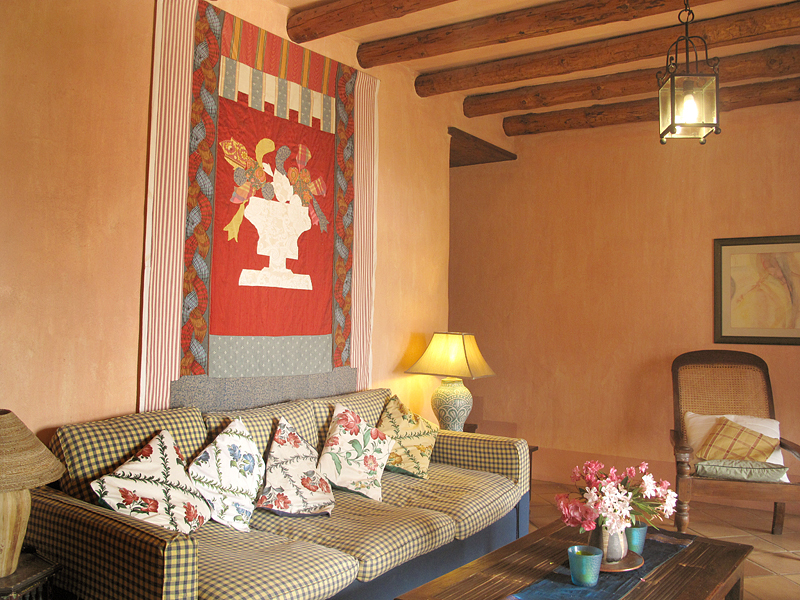 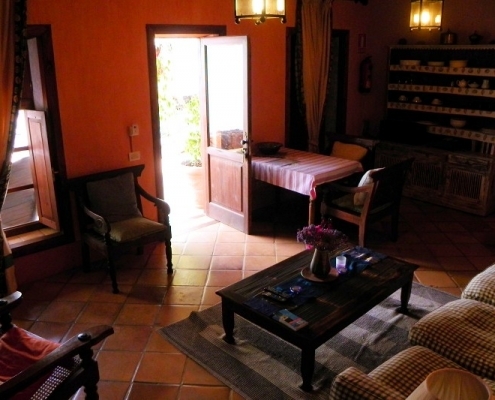 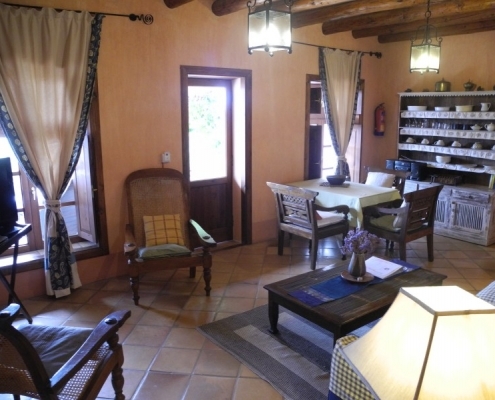 The large, comfortable lounge has a sofa bed and on its walls of rock and lime wash are paintings and wall hangings. 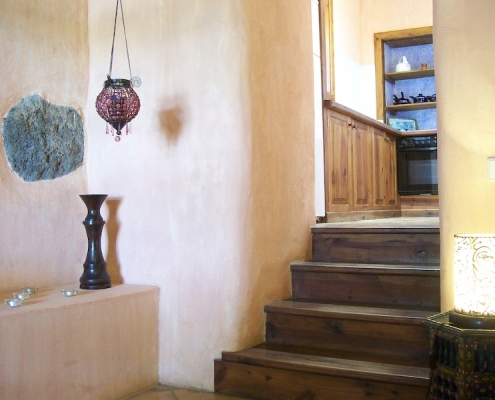 The dining room has a cabinet containing crockery and other ornaments and is connected to the kitchen by a wooden staircase. 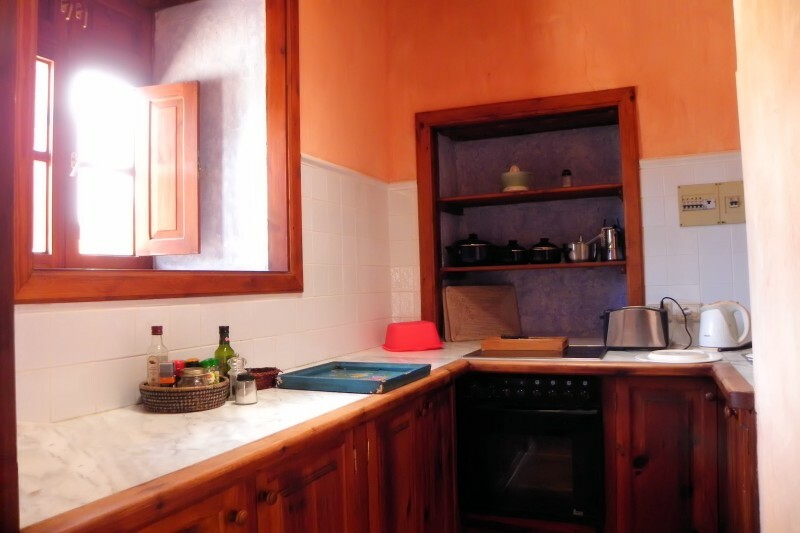 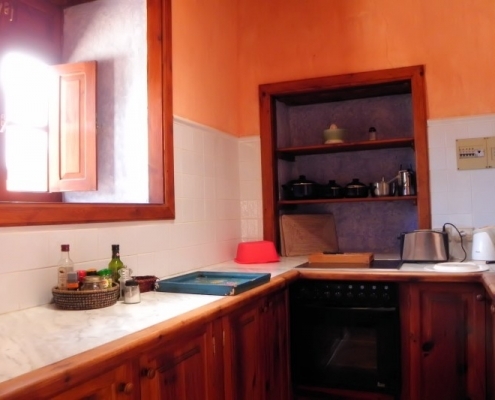 The kitchen has large windows giving a lot of natural light and beautiful views. 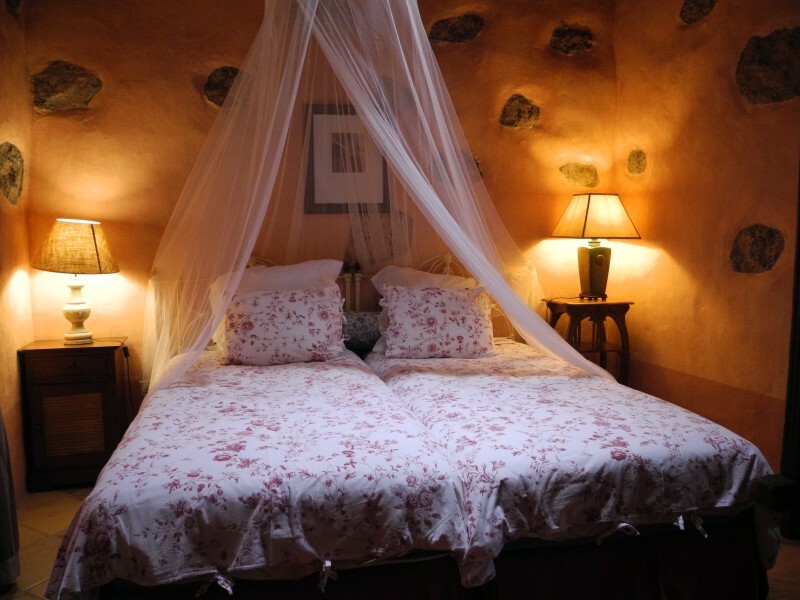 The bedroom has two single antique metal beds. 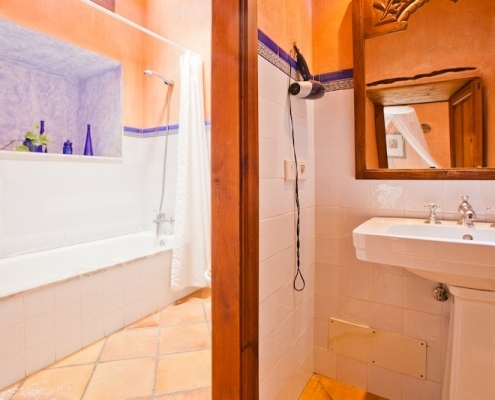 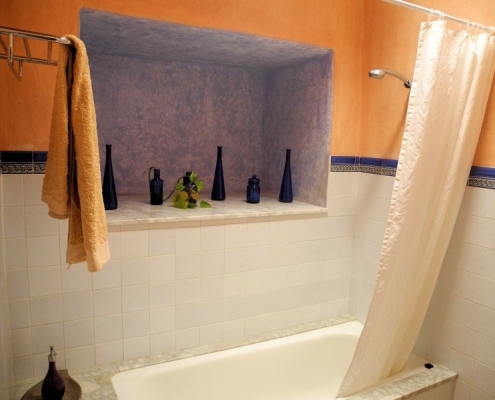 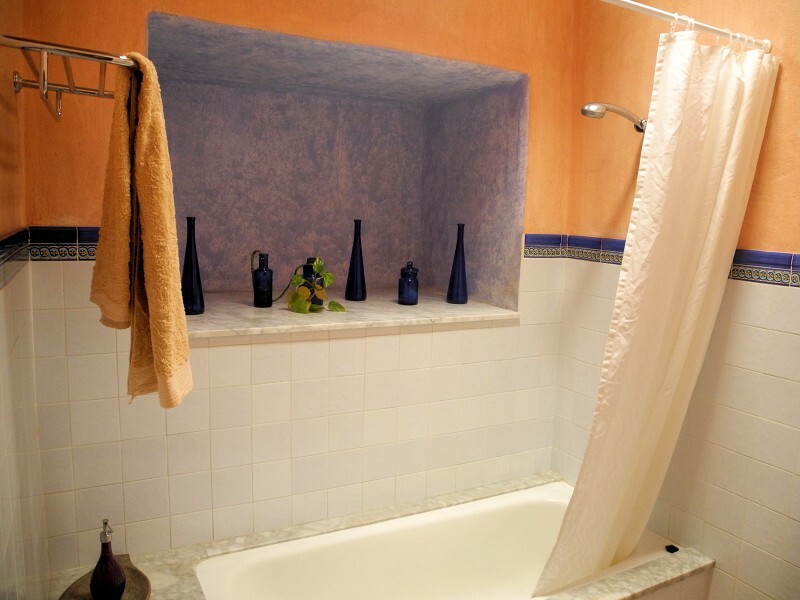 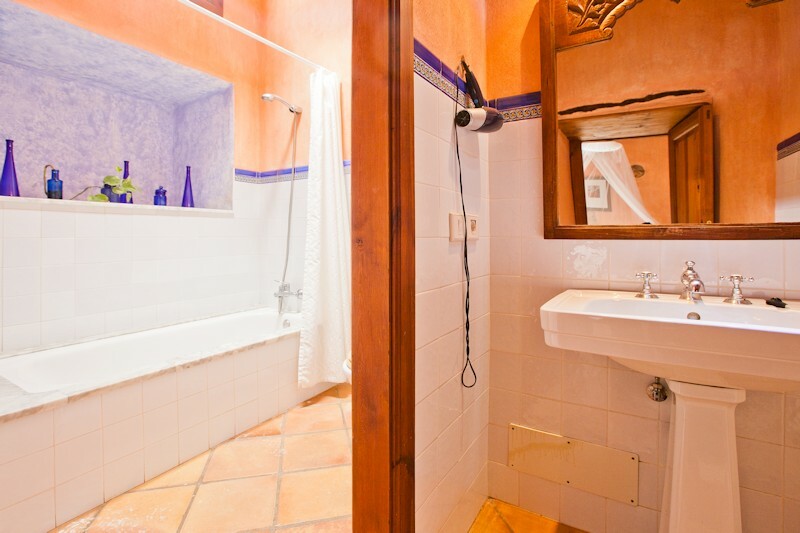 The toilet has a large stone over the door frame, the bathroom is large with light from a generous skylight along with marble surfaces and colonial style sink and taps. 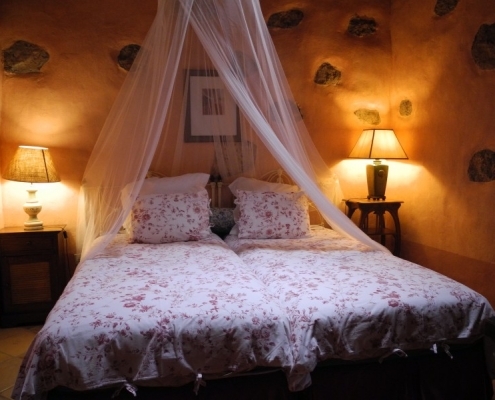 The sunsets seen from this suite are beautiful and it is perfect for a couple or family of 3 people.